The steady whirl of your blender can make you feel like you’re crushing your nutrition goals before your day has even started. And they can do just that: Protein shakes have the potential to be a fantastic source of vitamins, minerals and muscle-building protein. However, not all protein powders are created equally. Some contain less-than-ideal ingredients that can cause some unpleasant side effects — as well as additives that are downright dangerous. What’s more, the sketchy stuff may not be blatantly listed on your ingredient label, so you need to know what you’re looking for. Well, look no further. 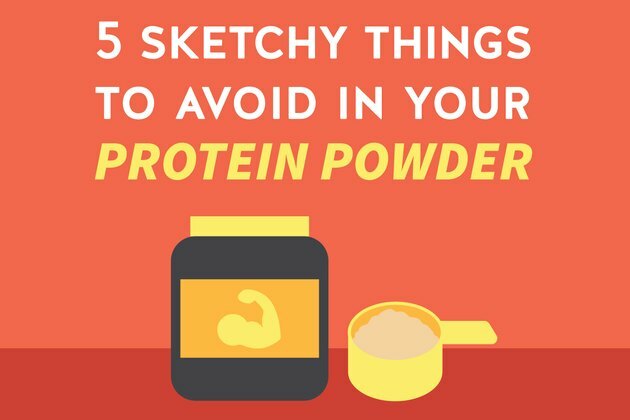 This list of five sketchy things to avoid in your protein powder will clue you in to what you want to avoid in your daily breakfast smoothie or post-workout protein shake. Many manufacturers, including those that make protein powder, are adding this seaweed-derived ingredient to create thicker, creamier products. Carrageenan also shows up in soymilk, coconut milk, ice cream, sour cream, squeezable yogurt, frozen pizza and much more. According to research from the Cornucopia Institute, carrageenan can wreak havoc on your gastrointestinal tract. Animal studies suggest it may even lead to inflammation, intestinal lesions, ulcers and tumors — eek! 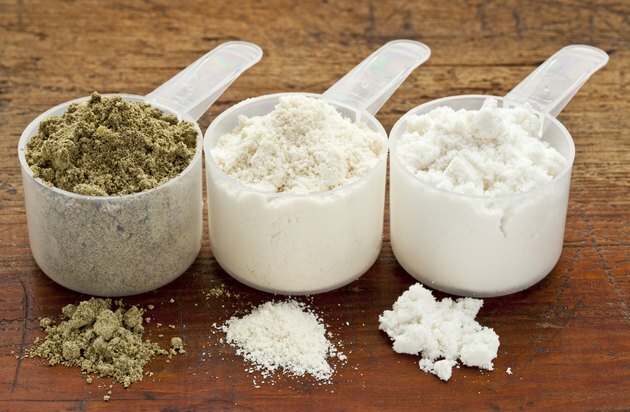 A Consumer Reports study of 15 popular protein powders found that many contained heavy metals including arsenic, cadmium, lead and mercury, some in quantities that exceed safety limits. How do they get in there? Some heavy metals occur naturally in the earth while others come from pesticides and fertilizer that make their way into the soil and water used to grow the ingredients. If you’re vegan, rice protein powder may seem enticing, but reports show that rice contains high levels of arsenic, a potential carcinogen, whether it’s organically grown or not. Another source of heavy metals is cocoa powder — a ConsumerLab.com study found that most cocoa powders have high concentrations of cadmium, which can damage your kidneys. “If the ingredients list cocoa powder it most likely contains cadmium since we have yet to find one that isn’t contaminated with cadmium and/or lead,” Cooperman says. Packing as many nutrients as possible into your glass sounds like a total win. “The problem with ‘superfoods’ is that companies make it seem like these are the foods you should be eating, but the recipe for health and wellness is eating all different kinds of produce in your diet — not just acai, resveratrol or whatever the ‘superfood’ du jour may be,” says Roberta Anding, R.D., director of sports nutrition at Texas Children’s Hospital. Instead, she recommends using a plain protein powder and adding your own fresh or frozen seasonal produce. This will guarantee that you get more variety in your diet than dumping in the same superfood-enriched powder day after day. 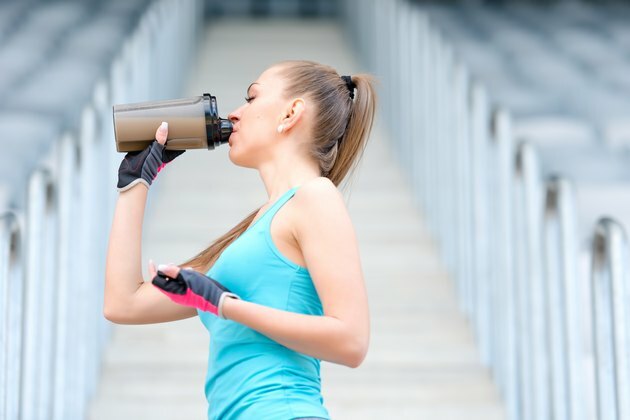 To avoid turning your recovery shake into a gut-busting milk shake, labels that say “low-carb,” “low-sugar” or “sugar-free” sound like a good idea. The problem? Many manufacturers often add something else to make their protein more palatable. This is often an artificial sweetener such as sucralose, aspartame or saccharin, or sugar alcohols, which may appear on the ingredient panel as sorbitol or maltitol. There really isn’t a good option in the bunch, Anding says. Recent research links artificial sweeteners with everything from weight gain to cancer while sugar alcohols can cause gas, bloating and diarrhea in perfectly healthy people. Without sugar or sugar substitutes in your powder, you can always sweeten your drink with fresh or frozen fruit or a squeeze of honey. If you’re lactose intolerant, you could end up with a stomachache and other unpleasant gastrointestinal symptoms without realizing that your protein was the source of it, Anding says. Milk contains two kinds of proteins, whey and casein. Whey and lactose are the liquid part of milk. “So when you separate milk proteins the lactose goes with the whey,” Anding explains. 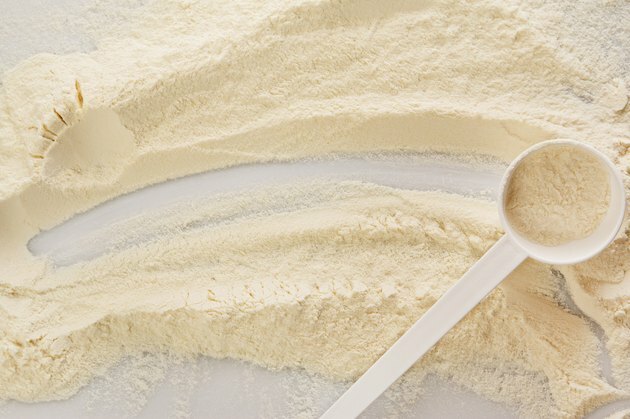 Processing the whey protein doesn't necessarily eliminate lactose from whey protein powder. 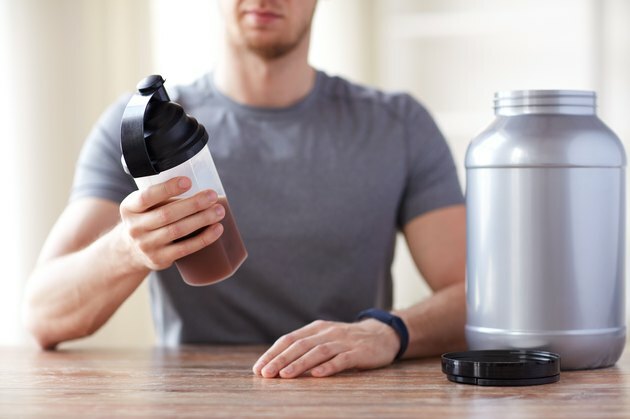 If you’re lactose intolerant and still want to use whey protein, which some research suggests may aid weight loss and muscle recovery better than some other options, choose whey protein isolate powder. Additional processing results in a purer protein with hardly any lactose. What’s your favorite brand of protein powder? Did any of these sketchy ingredients surprise you? What’s your favorite protein shake recipe? Let us know your thoughts in the comments.